Isthmian League, Premier Division. Saturday 26 August 2017, 3:00pm. This Saturday we welcome Burgess Hill Town to AGP Arena. The Hillians have had an unbeaten start to the season having drawn with Needham Market, Kingstonian and Folkestone. Amongst the Burgess Hill squad is former Blues right back Ibrahim Diallo. Ibs joined Billericay from Wealdstone and made 24 appearances last season before moving to the West Sussex club. Brandon Diao came off of the bench last Saturday to set up Burgess Hill’s equaliser against Folkestone. He made his Blues debut at Merstham, replacing Greg Cundle in a 1-1 draw. Three days after this he scored his only goal for the club as Town beat Wingate & Finchley 3-1. Brandon made 4 starts and two sub appearances in his time with the club. 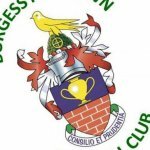 Burgess Hill F.C. were formed in 1882 and were quickly successful, winning three consecutive Sussex Senior Cup’s from 1884. Like Billericay, Burgess Hill did not add ‘Town’ to the club name many years after the clubs formation. Burgess Hill Town first became members of the Isthmian League for the 2004-05 season, eventually being crowned Isthmian League One South Champions 10 years later. 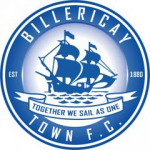 It was as members of the Isthmian Premier that Billericay and Burgess Hill first met on 21 November 2015. The match ended in a 1-1 draw, Blues striker Onome Sodje came off of the bench to score the equaliser. The first meeting at New Lodge was a goalless draw in front of 252 fans on 2 April 2016. Last season The Hillians won their home fixture at Leyland Park in December 2016, 2-1. The Blues goal came from Billy Bricknell. Burgess Hill last came to Billericay on 11 March 2017. A bumper crowd of 829, the biggest of the season at that point, witnessed a comfortable 4-0 home victory with two goals a piece from Rob Swaine and Billy Bricknell. Jamie O’Hara is still serving his ban but Joe Ellul is available again. Visiting fans travelling by train will find two taxi ranks outside the station. A Cab journey to the ground should cost around £5.00. There are no trains running between London Liverpool Street and Billericay this weekend. The AGP Arena will be open from 12:30pm. For those driving to the match there is secure parking available for £5.00, or street parking is very limited along Tye Common Road. Some resurfacing work is being carried out.